Basic video editing doesn’t have to be hard and you should not be expected to spend upwards of hundreds of dollars on a video editing software. Most of us just need basic video editing features including cutting, cropping, merging, and more. So what if I tell you that there’s a video editing software out there which can help you perform all these actions at not only a relatively cheap price but also doesn’t require you to spend hours upon hours into learning the software. 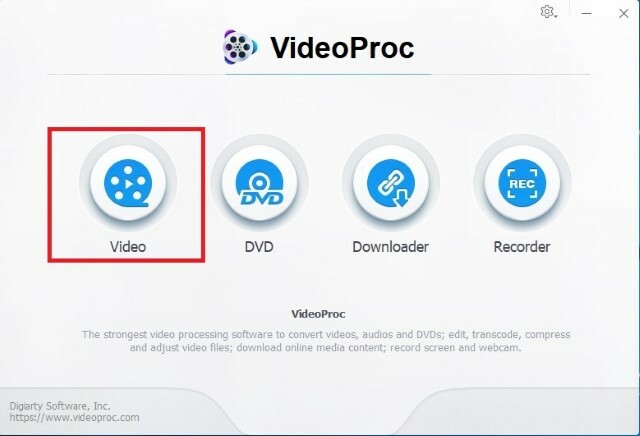 The app that I am talking about is called VideoProc and to show how easy it is to use, we are going to show you how you can merge videos using VideoProc. Merging multiple videos into one file is one of the hardest basic editing skill that one can master. That’s why I am using this to showcase how easily you can use VideoProc to edit your videos. So, let’s get started, shall we? First, launch the app and then click on the video. 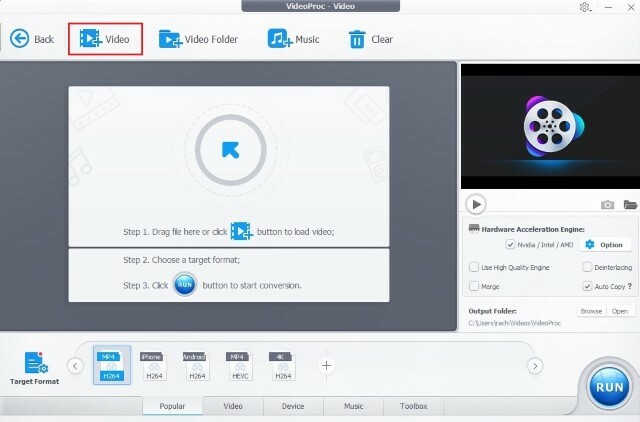 Now, either drag and drop the video files you want to merge into the app or click on the import video button (marked in the picture below) and import your files. After importing the files, click on the checkbox beside the “Merge” action and then click on the “Run” button to merge the videos. You can click on the “Target Format” button to choose the output format of your merged video before you hit the Run button. VideoProc also allows users to trim videos before merging them. This feature allows you to cut the non-essential part of the video and make a clean merge. To trim videos, click on the “Toolbox” button and select “Merge” after the 2nd step. Now, select the video that you want to trim and then double click on the merge button to open the trimming mode. Here, slide the end and the start point of the slider to select the part you want. Finally, click on the “Done” button. Repeat the process for all the videos that you want to trim and then click on the “Run” button to merge the videos. As you can see, VideoProc can help you merge videos with just a few clicks. Even if you want to trim videos before merging, you can do that easily with VideoProc. The same is true for any other kind of basic editing that you want to perform. If this post has piqued your interest in the app and you are considering buying it, you will be happy to know that it won’t burn a hole in your pocket. VideoProc is currently available for just $42.95 for a lifetime license. 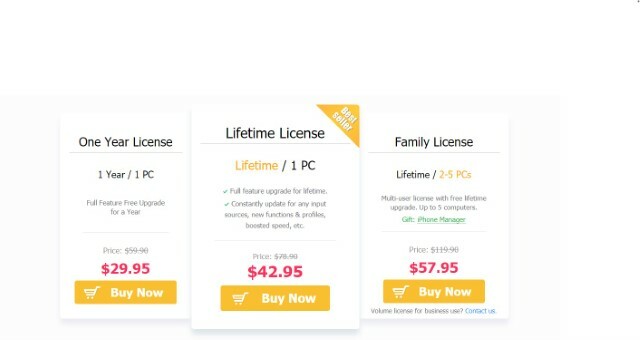 If you want to pay even less, you can get a one year license for just $29.95. That being said, the lifetime license is a far better deal and you should definitely go for that. Also, it is available for both Mac and Windows operating system so you don’t have to worry about compatibility issues. As I showed, VideoProc makes it really easy to perform basic editing on your videos. So, whether you want to create simple home videos or just need basic video editing skills for your next project, VideoProc will be the right choice for you.